How Do I Declutter Books? To the bookworms landing on this blog post — we feel your pain! Are you a book nerd who totally understands what having a book hoarding problem is like? For book lovers everywhere, decluttering books can feel sacrilegious. Throwing away the physical books feels like you’re rejecting the content in them. Or worse still, it feels like the intellectual association in your home is being compromised by culling the books in your mini library. Listen to Justin address this topic on Episode 430 of Optimal Living Daily. Still, clutter is often a significant source of stress in our lives. It can cause real mental anxiety because the clutter is a constant visual reminder that something needs to be organized. It can also lead you to feel guilty or embarrassed when others visit your home. And what’s the point in having a bookshelf (or shelves) that’s so crowded that you can’t easily see or reach the books you do want to read? If your bookshelf or book collection is in need of some cleaning and organizing, here are a few ideas. Need some help with organizing your books? 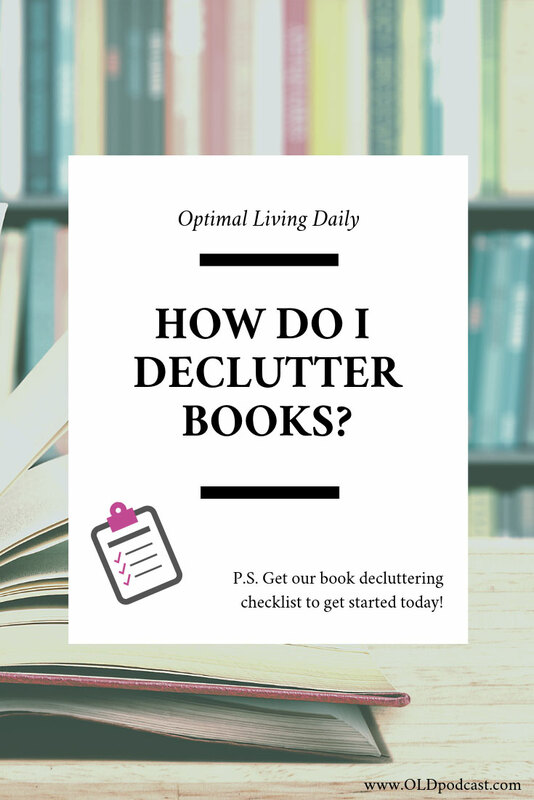 Get a copy of our decluttering books checklist! When it comes to books, the “point of the KonMari method is to figure out what you value most,” says Marie Kondo. You could choose to donate or give away the books you’ve already read. Or you could have a one-for-one system — when a new books comes in, an old one goes out — to keep the number of books on your shelf manageable. As a librarian, I 100% support KonMari-ing your bookshelves. [Kondo] doesn't want you to get rid of what you love. She's offering you a way to pass on things you don't. If you feel pressured to downsize your book collection to a certain number, pause and take a minute to reevaluate your thoughts. 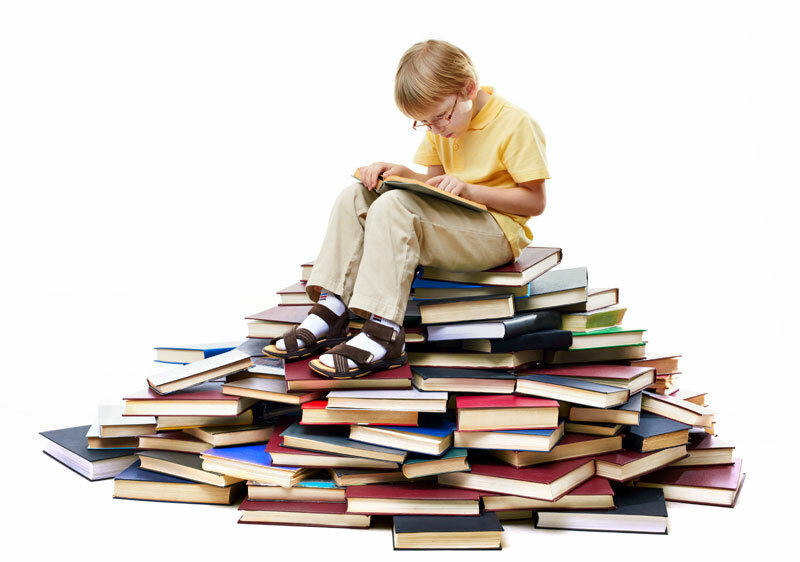 Decluttering your books doesn’t mean that your collection has to be whittled down to something you don’t recognize. One thing I did for many years was to use physically smaller bookshelves. It helped to keep my home library manageable for a while. My small bookshelf ran out of space when my library grew to include several art books. I wasn’t willing to downsize these books as they inspire me mentally and spiritually (i.e. what Marie Kondo describes as what we “value” and feel connected to). However, I tossed out some books in other genres that I no longer felt an affinity to. Another important question to ask yourself is whether you’re keeping a book because you thought you were supposed to enjoy it. As Samantha Zebell writes, there were several popular and famous books she had that she just didn’t feel a connection to. She ponders if she kept these books to feel more worldly or intellectually on par with book aficionados in the literary scene. Once she cut down on this category of books, she appreciated having more space for books she genuinely liked! One method public libraries use is known as the CREW Method. CREW stands for Continuous Review, Evaluation, and Weeding. Libraries weed books regularly so that library patrons are able to find relevant and interesting content. An updated collection makes the collection inviting and visually appealing. These criteria could apply to your home library too. LFL #5539 Chatham, ON | Photo from Little Free Library. 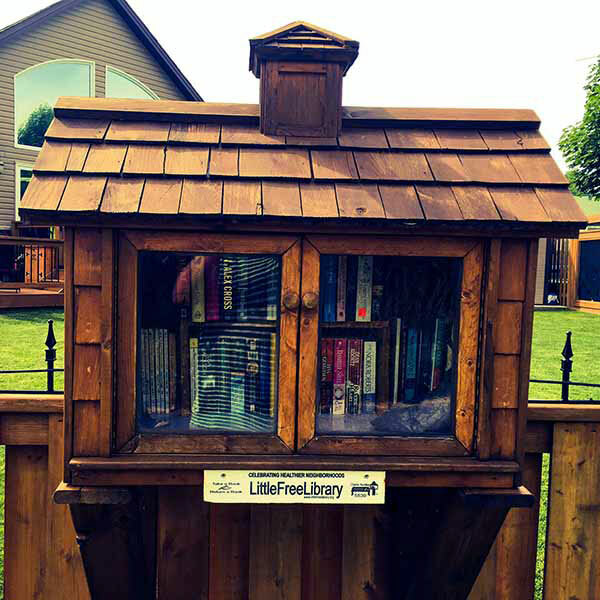 You may have seen one of these little libraries in your neighborhood. As of today, there are more than 80,000 Little Libraries! If you’d like a unique way to share books with your community, check out the Little Free Library website to see how you can build one. You can also check the Little Library map to see the ones available in your area. You can also try selling your used or read books on eBay. If there are books you’d like to check out but aren’t SUPER sure you’d like to have in your home collection, try borrowing it from a friend or checking them out from a nearby library. Ask your librarian if the book you want is available through the Interlibrary Loan, where you can borrow material that is located at another library. Libraries are vital public institutions and there are several ways to support them. You can volunteer, take part in library events, donate books, attend a book club, or be a member! One other simple way to cut down on your physical book collection is to read ebooks or audiobooks. Ereader benefits include their portability and taking up a lot less space than their paperback counterparts. Some great audiobook platforms include Blinkist and Audible. Blinkist transforms books into bite-sized content you can listen to or read in 15 minutes, while Audible has the largest selection of audiobooks globally. Ariel Bissett, a Canadian BookTuber, says that bookshelves and buying books makes her happy. She tries to balance it with her minimalist lifestyle, but shares that it’s OK if you don’t want to be a minimalist in every single aspect of your life. She shares that being constant with refreshing your books helps with maintaining the amount of space they take up in your home. Books are like the other tangible objects in your home, in the sense that they will quickly take up a lot of space if you collect more and more of them over time. There’s no need to feel guilty with keeping the books that mean something to you either. Particularly when it comes to well-loved books like children’s books which will be reread several times. Your books collection should be a source of joy and inspiration — not stress or misery — and we hope our tips give you some ideas as you organize this special part of your home!